"In distributing the millions of newspapers produced in New York daily, an extensive and complicated machinery is employed. 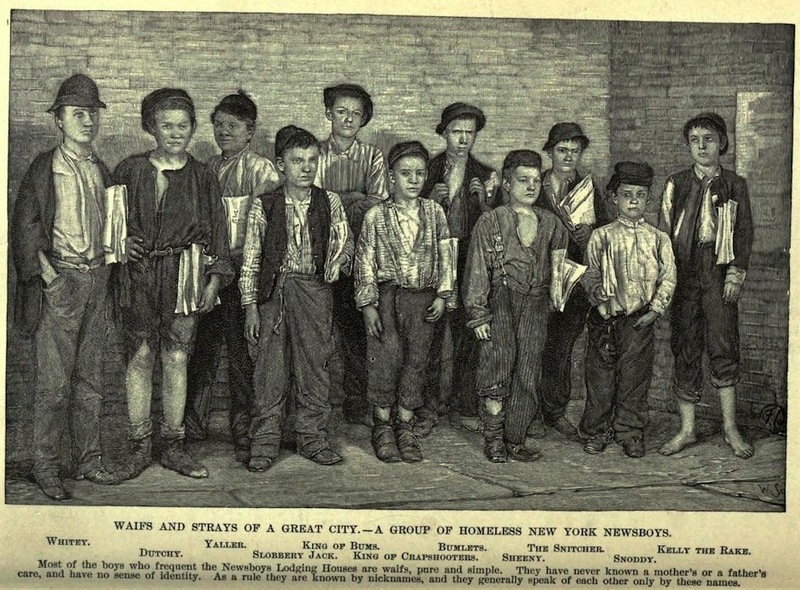 No city possesses so large or alert an army of newsboys. 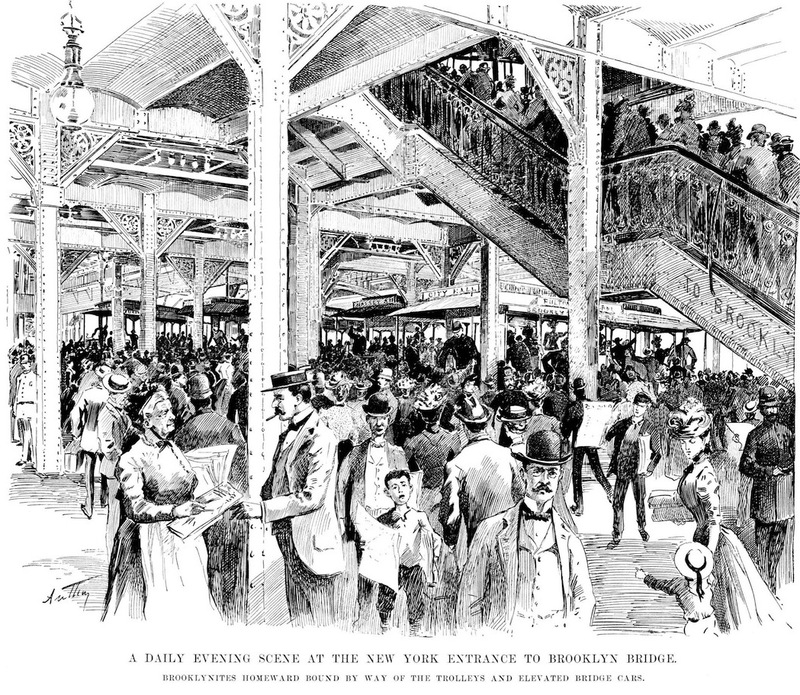 They board every street car, beset every depot ferry house bridge entrance and elevated railroad station enter offices and ring door bells. An extra published at an unusual hour, always finds them ready to speculate by turning their small capital into papers. A few minutes after the first copies fall from the press there comes a chorus of "Oixtray!" that pierces the most retired corner of the towering office buildings around Printing House Square, and makes everybody realize that something thrilling has happened. 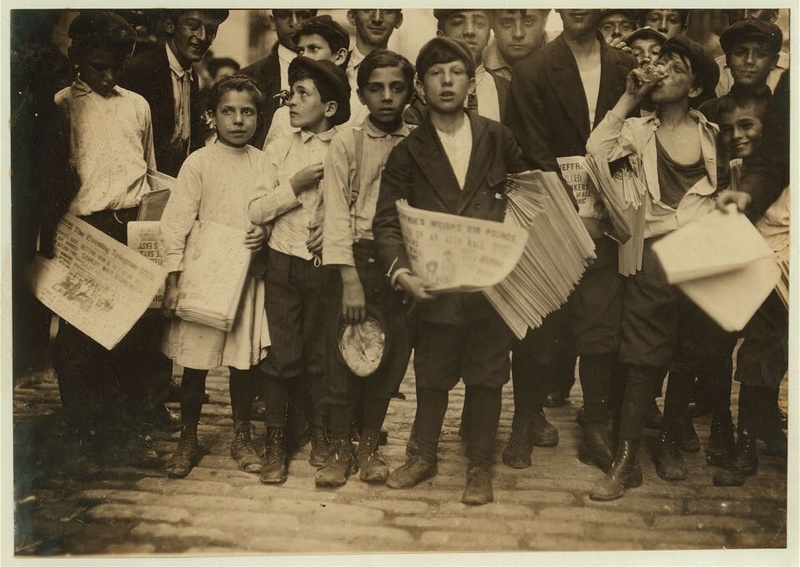 The newsboy army does not all rendezvous in Newspaper Row. Scattered throughout the city are other assembling places selected by common consent where companies gather to buy their papers from the wagons sent there by the publishers. 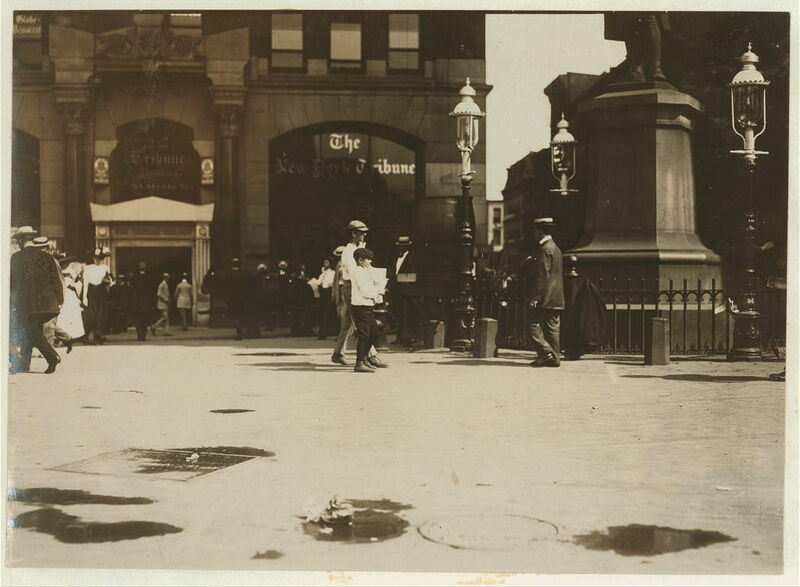 On the way also these wagons do a thriving trade and where one is seen, it is usually decorated in the rear by a bare legged urchin holding on in some miraculous way to the tail board while he exchanges his pennies for papers."